On the outskirt of Naples, Italy and close to Mt. Vesuvius, lies the city of Nola. 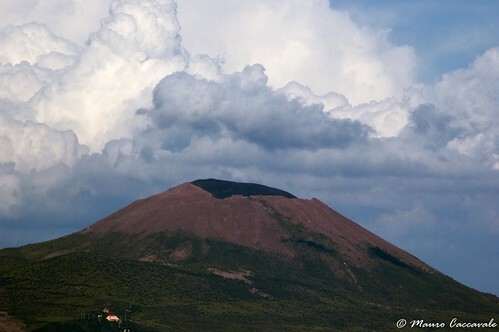 It boasts of a huge and unique, volcano shaped commercial complex known as 'Vulcano Buono' - The Good Volcano. 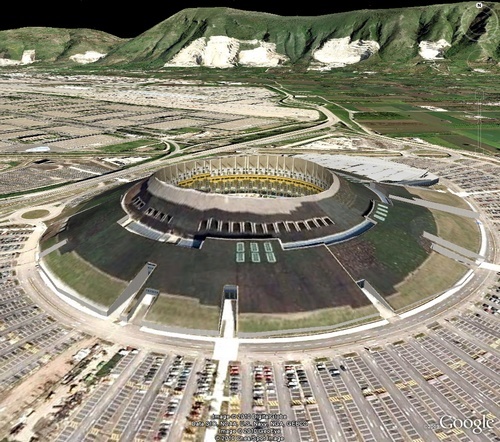 In comparison here is a view of the so called artificial 'Good Volcano'. This green looking artificial cone of the volcano is 320 metres wide with height varying from 25 to 41 metres. The crater mouth has an opening of 160 metres. 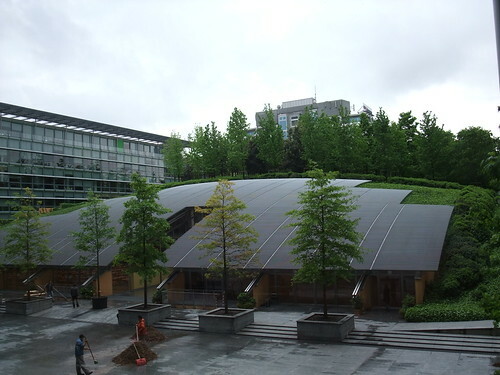 Its grassy slope is covered with more than 2500 plants which provides a natural insulation to the interior space. The entire complex occupies an area of 450,000 Sq. metres, floor area of 150,000 sq. metres and has a parking space for whopping 7000 cars. 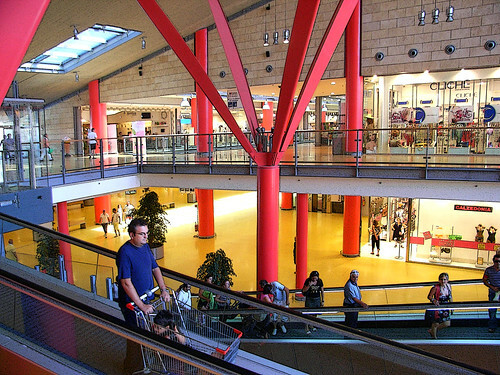 The complex contains a hotel, a hypermarket, a multiplex cinema, a gallery of double-height 155 shops and several restaurants and bars. 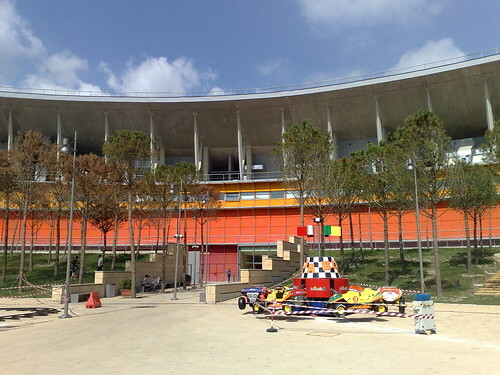 The open circular space in the centre is used for concerts and events.